Love that Subaru (truck and car all in one). The car is 15 years old and I have had to get new tires, brakes fixed and a water pump which I consider just usual wear and tear on a car. My Baja has been wonderful because it acts as a small truck and is still a comfortable car for long trips. The only thing I wish I had done was get a hardtop for the back because the cloth cover has worn out over years of hooking and hooking it. Mileage is 20 per gallon which is not the best and Dealer maintenance is expensive. I like my car very much, but maintenance has been expensive, especially since the warranty has expired. Practically everything has been replaced at least once, with only 102,000 miles right now. I'm retired now and will have this car forever. I'm hoping that it will last. It drives like a car but it operates and hauls like a small pick up truck! 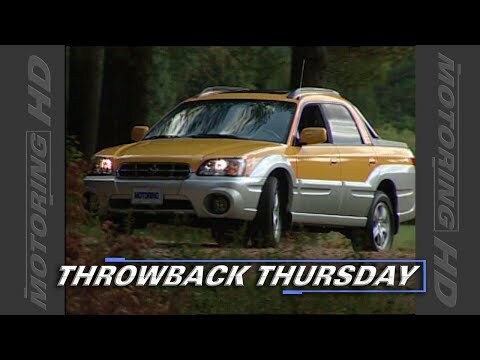 I love how versatile the Subaru Baja is. It is hailing options, capacity, and usability is perfect for my lifestyle, while giving the user the feeling of driving a car not a truck. Certain Widetrack Baja A/T tires, size 30x9.50R15 LT, fail to comply with Federal Motor Vehicle Safety Standard No. 119, "New Pneumatic Tires." The maximum load and inflation are incorrectly stated on the tires. These tires can be over-inflated and possibly contribute to a vehicle crash. Bridgestone/Firestone dealers will replace these tires. The manufacturer has reported that owner notification began Sept. 10, 2002. Owners should contact BFS at 1-800-367-3872. On certain passenger and sport utility vehicles with 4-cylinder engines, the water pump pulley center hole was improperly machined. In some instances, the interference fit between the inner wall of the pulley center hole and the water pump drive shaft was not as tight as specified in the drawing specification. This could result in the water pump pulley dislodging from the water pump shaft, which can cause severe engine damage/seizure during vehicle usage. Dealers will replace the water pump. The manufacturer has reported that owner notification began Sept. 12, 2002. Owners should contact Subaru at 1-800-782-2783. Certain passenger and sport utility vehicles equipped with automatic transmissions were produced with an improperly manufactured transmission parking rod. When the transmission selector lever is placed in the "P" (Park) position, the transmission park mechanism, which is intended to hold the vehicle, may not engage. The vehicle could then move/roll without prior warning, increasing the risk of a crash. Dealers will replace the automatic transmission parking rod assembly. The manufacturer has reported that owner notification is expected to begin during January 2003. An interim owner notification will be sent during November 2002. Owners should contact Subaru at 1-800-782-2783.